A new website is offering the public a chance to 'crowdfund' community projects. 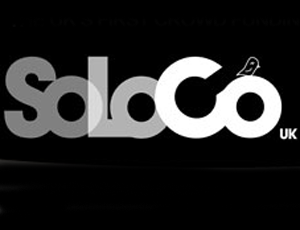 The Scottish-based website SoLoCo, which was launched earlier this month, will feature a number of projects to which donors will be able to choose to give. Its founder, Kirsty Burnham, said the website – which is run by a social enterprise of the same name – was the first in the UK set up to use the crowdfunding model, in which technology is used to attract large numbers of small donations from members of the public in a short space of time. She said the model had already been used successfully for arts projects and political campaigns, such as Barack Obama’s US presidential campaign in 2008. The website funds itself by charging a commission of up to 9.5 per cent on funds collected. The rate reduces as each fundraising venture becomes more successful. "We want to make it easier to raise funds, and in time make it easier for organisations to be become less reliant on the ‘traditional’ funding bodies," said Burnham. "We also want to help improve the visibility of our communities and all the amazing work happening on the ground every day." Any community project in the UK can register on the site, which will give them 60 days to fundraise. The site is not only open to charities and social enterprises, but also to other projects that benefit communities. Schemes that have already signed up include one to renovate a walled garden, by The Assynt Foundation, and a community café in Edinburgh seeking money to employ its volunteer chefs and waitresses.